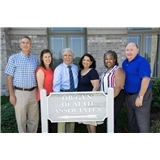 OB/GYN Health Associates (Orland Park) - Book Appointment Online! The goal of OB/GYN Health Associates is to be your partner for the best in women's healthcare. If new patient please provide address when booking all appointments. Dr. Kale was recommended to me by my sister and I was very pleased with how professional she was. Office staff us very friendly. Dr. Sigala professionalism and attitude was very important to me, as it made the visit a more pleasant experience. Very pleasant & professional, as were his staff! Dr. Williams is so personable and engaged with patients. I fell very comfortable asking questions.